The OGTA 2019 will be opened on 05 Mar and it will be ended on 07 Mar 2019. The invites you to Ho Chi Minh City, for OIL & GAS TECH ASIA. It will be located at Military Zone 7 Indoor Sports Complex. OGTA 2019 is simply a stage where numerous notable solutions and products could be put on show. These will be about Oil And Gas, Petroleum, Downstream and Upstream. 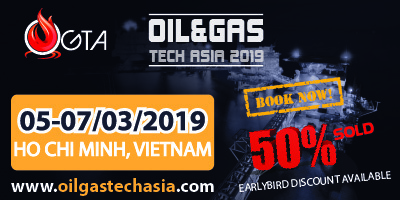 The organizer of the OGTA 2019, OIL & GAS TECH ASIA is Phoenix Trade Fairs. Let Ho Chi Minh City must do attractions make you fall in love with this city when you are there for OGTA 2019. Here are the top notch things to do in Ho Chi Minh City!